Last month, a group of school children entered the library and returned many books about each of the 50 states. They were excited to share their new-found knowledge. Since in January, Alaska celebrates its hard won 60th anniversary to become our 49th state, I wanted to point out resources our libraries have about the state once known as “Seward’s Folly”. 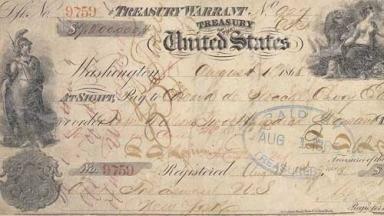 For instance, did you know Alaska was purchased from Russia for just $7.2 million in 1867? At 2 cents an acre that seems a pretty good bargain. So if you’re traveling there or are an armchair traveler, check out these library nonfiction books and DVDs or choose a book of fiction that will give you a sense of life in Alaska. Researchers who have been using our online reference collection, including our Student Portal, may soon notice a change. Now available is an engaging and versatile interface called Explora, created by leading reference provider EBSCO. My name is Darby and I live in the big doghouse over at the Wheatfield Library. I spend most of my time lying on top of the dog house roof, but last month we had a bit of excitement at the library. "Thomas says that yellow tastes like mustard, but is as soft as a baby chick’s feathers,” starts this elegant and beautiful children's book from Venezuela. Capstone Digital and the Indiana Department of Education's Hoosier Family of Readers is giving you access to the largest collection of digital books called myON! It's April, and as the area warms back up, there are plenty of things to do. Are you ready to celebrate spring?